Gasp! Those shoes are perfect! I've been keeping my eyes out for some Ferragamos, but I can never seem to find any in my size. Sounds like you had a pretty good Christmas, especially the MacBook! What a great gift! So awesome! I have these same shoes in olive and brown leather! I love that yours are suede. I adore Ferragamos. Cutes shoes! All the best people use Mac's, I hope you are very happy together. 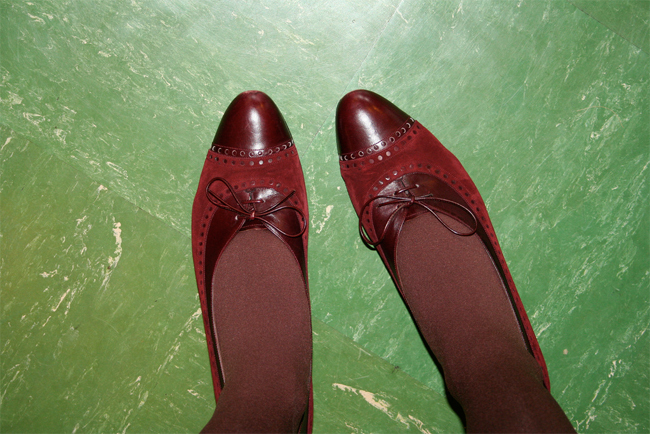 They are so cute and I love burgundy coloured shoes. Perfect! OH WOW a new Macbook! I love my Macbook, I'm sure you'll love it too. The shoes are supercute, by the way! Wow, that is so generous of Victor! What a guy :) Love your shoes. They really are magical.